The right mover takes stress off your shoulders; he doesn’t add to it. It’s already one of the most stressful times of your life. To add another layer of worry, you probably wonder whether it’s smart to trust all of your worldly goods in the hands of movers. After all, you’ve carefully curated the finest furniture (or hand-me-downs) and the most delicate china and crystal (or a hodgepodge of plates and cups). Can you afford to replace it if something goes wrong? In reality, established movers are some of the most cautious and responsible pros that you’ll meet. They couldn’t stay in business if they weren’t. The key is hiring the right movers. A guy with a truck might quote you a great rate. But your Chesterfield might also find itself sideways on the side of the highway if it makes it off the truck at all. It doesn’t matter how smart the representative is dressed or how nice his phone manners happen to be. What really matters is the company’s reputation. Start with a quick search at the Better Business Bureau. Don’t worry if the company isn’t listed. Not every business is. But if they are, you might find useful information such as whether they’ve had a registered complaint and whether the complaint was satisfactorily resolved. A solid quote means nobody will hold little Billy’s favorite toys hostage. This is the digital age, so lots of movers offer online quotes as a comparison shopping service. But that’s only the beginning. Don’t stop at just one quote from one mover. You should aim for about three. Also, ask about whether the quote is all-inclusive. According to Scambusters, it’s a sad fact that some scam artists quote a reasonable rate up front, but then require an additional fee for unloading your belongings once they arrive at your new home. Apparently they didn’t realize that you would need that Chesterfield inside your living room. And don’t forget: the final quote should be in writing. 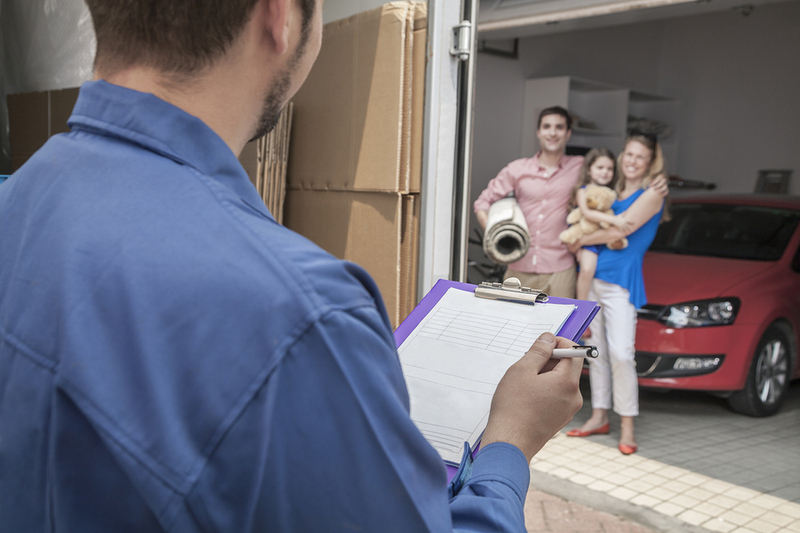 The mover that you hire might ask for a deposit to secure your spot on his schedule. That’s reasonable. Movers need assurance the same as you. But a reasonable deposit doesn’t have a comma-laden series of zeroes tacked onto the end of a nice, round number. A small deposit isn’t unreasonable, and you might go a little higher, depending on the demand for movers and the area where you live. They’re in high demand through spring and summer. But if the mover requires a large sum in advance, or, even worse, the whole fee, run in the other direction. Bankrate says many movers will not ask for a deposit at all. Avoiding scam artists isn’t as difficult as you might think, even with the number of people who are taken by ne’er do wells. It only requires a little diligence and the understanding that moving is never cheap. Check out the company. Do some research. Ask to see their credentials in person at the time of the quote. None of those are rude questions, and a reputable mover won’t be offended. At On the Go Moving and Storage, we understand that whether it’s a Chesterfield sofa or a bargain basement couch, it’s yours, and you need the assurance of a reputable moving company to handle it. We are trusted, experienced professionals in Seattle and the surrounding area, and we offer professional packing, moving and storage solutions at competitive rates.